“I just wanted to say another big thankyou!. 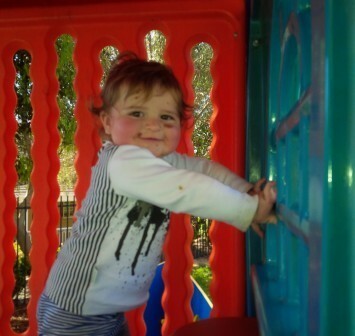 Back in January 2012 my 1 year old daughter Ruby was lucky enough to play in your Sydney playground when we were at the Children’s Hospital, Westmead where Ruby had heart surgery. 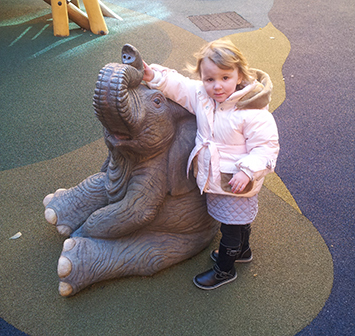 Today we visited her cardiologist in the outpatients at the Centenary Woman’s and Children’s Hospital in Canberra and she was delighted to see the GG playground. Ruby is now 3 and loving life. “I can’t help but cry tears of joy every time we go to Randwick and Westmead. 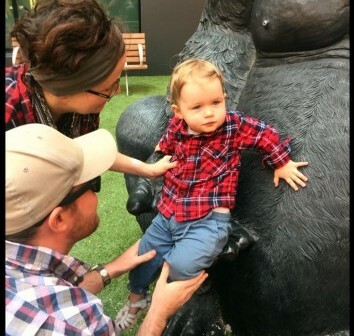 Our son George has multiple conditions which are very rare and serious. We attend both hospitals on a weekly bases as he has teams who look after his needs. I cry tears of happiness every time we enter your play area as it allows our little man to be a child and not a medical marvel. He has the best time and looks no different‎. It also ‎gives us the opportunity to enjoy our gorgeous George. 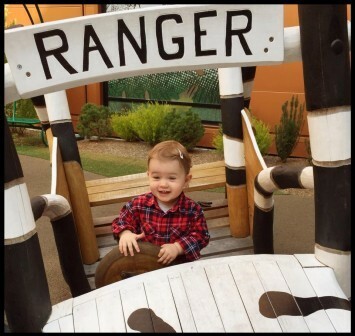 His brothers and sisters love the play area as it is not a clinical surrounding.